Live Gandhinagar Cultural Forum Navli Navratri 2016: Day 10 and Mega Finals Event will start 8.00 PM onward. Musical Group: Dipesh Desai Group Navli Navratri Day- 10 LIVE From Balnagri Ground, Sector-6, Gandhinagar. 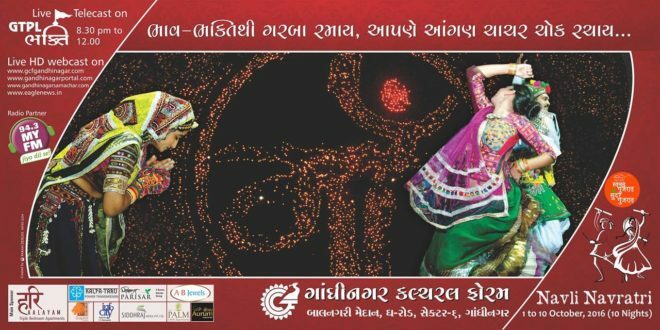 Live Gandhinagar Cultural Forum Navli Navratri 2016: Day 9 Event will start 8.00 PM onward. Musical Group: Golden Cheers Group Navli Navratri Day- 9 LIVE From Balnagri Ground, Sector-6, Gandhinagar. 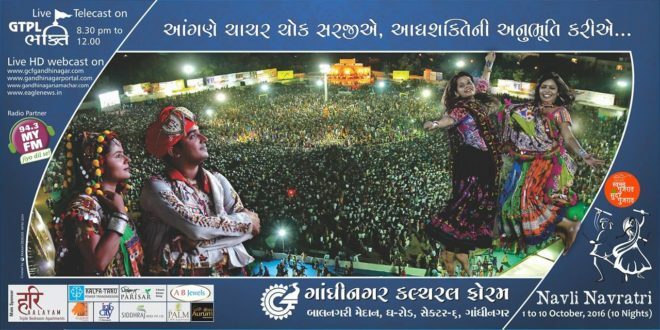 Live Gandhinagar Cultural Forum Navli Navratri 2016: Day 8 Event will start 8.00 PM onward. Musical Group: Dipti Desai Amit Thakkar Group Navli Navratri Day- 8 LIVE From Balnagri Ground, Sector-6, Gandhinagar. 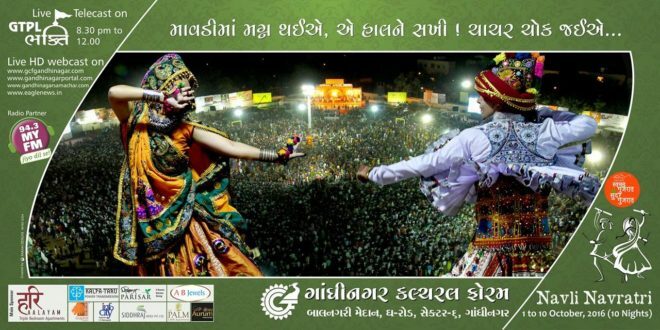 Live Gandhinagar Cultural Forum Navli Navratri 2016: Day 7 Event will start 8.00 PM onward. Musical Group: Golden Cheers Group Navli Navratri Day- 7 LIVE From Balnagri Ground, Sector-6, Gandhinagar.